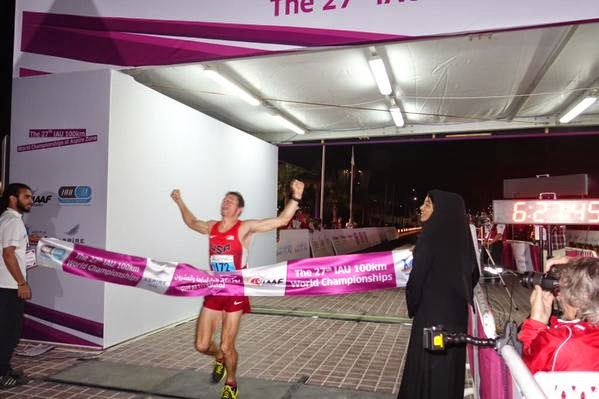 American Max King and Great Britain's Ellie Greenwood were able to hold off the global competition and crazy heat to win the 2014 IAU 100k World Championships in Doha, Qatar, earlier today. 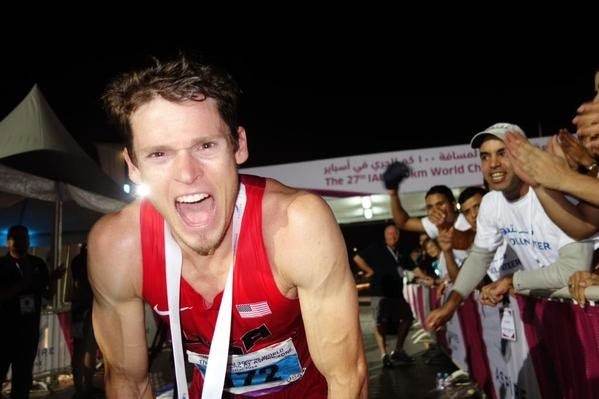 Max's 6:27:44 finish took nearly 3 minutes off the American Record (previously Tom Johnson's 6:30:11 in 1995), and was ~100 seconds ahead of 2nd place Jonas Buud from Sweden. Spain's Jose Antonio Requejo (Spain) was third in 6:37:03, and American's Zach Bitter (6:48:53, 6th) and Zach Miller (6:51:30, 9th) also made the Top 10. Both winners set the tone for their teams - Team USA took home the men’s team title, while Team Great Britain secured the women’s team victory. Ellie Greenwood had a solid day, holding the lead for most of the race and finishing in 7:30:30, a solid eight minutes ahead of Japan's Chiyuki Mochizuki. 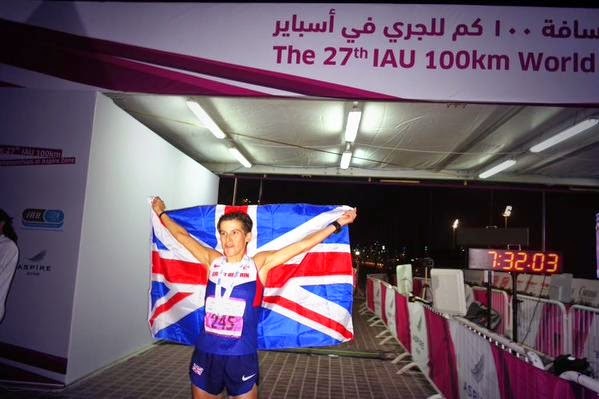 Great Britain's Jo Zakrzewski was third in 7:42:03. American's Meghan Arboghast (7:52:12, 8th) and Pam Smith (7:59:11, 10th) made the Top 10. Congrats to all the great competitors!